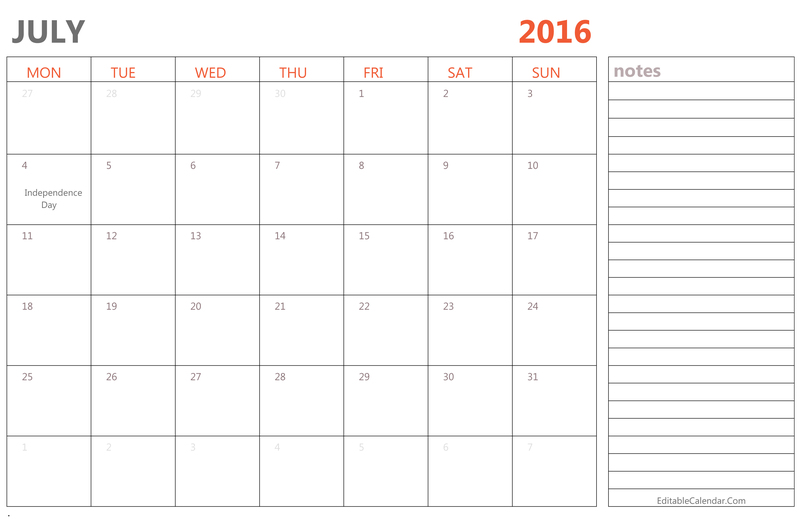 Plan for July 2016 with this Editable July 2016 Calendar featuring holidays and vacations. The calendar available in JPG, PDF and Word (docx) format. Free to download, edit and print it now!